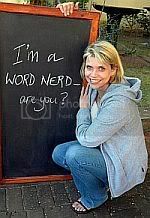 Are you a Word Nerd? Confusing or downright clever? Let’s hope this sign in a northern California town doesn’t have too many motorists scratching their heads or it may well cause more accidents than it prevents!